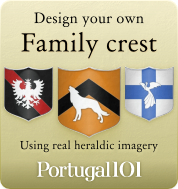 Central Portugal (also called the Centro region) is – as the name suggest – in the centre of Portugal. A bit over 2,3 million people call this region their home. In history, this region was heavily fortified along the borders to Spain, and many of the old castles and fortifications can still be visited today (and they are indeed a big point of interest for visitors). 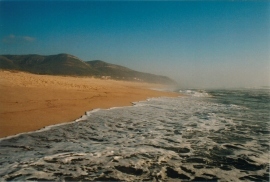 Central Portugal has the biggest and highest mountain range on mainland Portugal (the biggest mountain of Portugal actually is on one of the islands), and is known for its great winter sports that often even start a little earlier than winter as there are some artificial snow courses that can be used before the season. 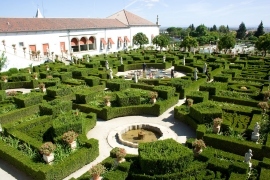 Central Portugal is a very varied region and hence offers the visitor a great variety of different opportunities. One thing Central Portugal is famous for are the Schist villages. 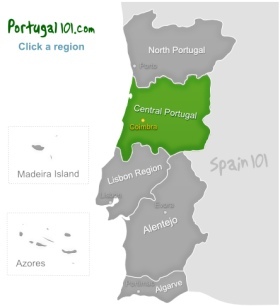 What should you see if you visit Central Portugal? The Schist villages (Schist is a certain type of rock which is used to build those villages, and gives them a certain kind of look) in Central Portugal are great places to explore if you feel like you would like to get away from the bigger cities and the masses of people. It is impossible to say which of the Schist villages you should visit as they all have a special charm. 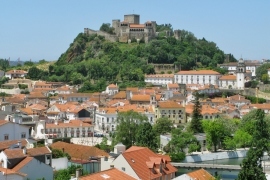 Your best option is to choose a part of Central Portugal that you would like to spend some time in and then see which of the Schist villages in the proximity would be the right choice for you. Some of them offer accommodation for visitors, and there is almost nothing that is more relaxing than staying in a small Schist village in the middle of a forest or next to a river, and just spend some time surrounded by nature, peace, quiet, and in the company of friendly local people. The shrine of Fatima can be visited at Cova da Iria, which did not use to be such a famous place until the Lady of the Rosary had been seen there a few times by three shepherds. 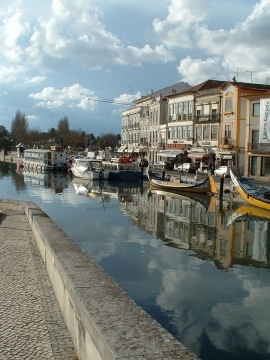 In 1977, the place Fatima has turned into a town, and in 1997 Fatima was given city rights. It is now an important place of pilgrimage for devotees of the Lady of Fatima. 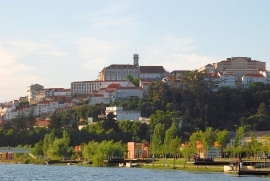 Coimbra is the capital of Central Portugal and the third largest urban centre in the country. 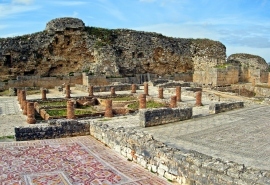 The city is not only interesting because it is the region's capital and thus the best place to learn more about the region, but it is also a great place to check out some Roman ruins as this region has been a part of the Roman Empire, and you can still see many traces of that time in modern day Coimbra. The city once used to be the capital of Portugal, but of course that is no longer the case (it was only capital from 1131 to 1255, but even from those few years, a few signs still remain if you look for them). Coimbra has some old university buildings, and they have been listed as UNESCO World heritage sites. One of the best preserved Romanesque churches can be found in Coimbra, and when you explore the city, you will see many buildings from different periods of time. Óbidos is like a city from a medieval movie. From the outside, you see the old city walls, and especially when you look at it from the West, with the castle in view, you could think that the city would be the ideal setting for a movie with a medieval theme. In July, there is a medieval market in the castle of Óbidos, so if you time your visit right, you would be in for an unforgettable experience. However, even at other times of the year, exploring this incredible historic place is a fantastic experience.